David Larson is a member of the Construction Litigation and Commercial Practice Groups of Weinberg Wheeler Hudgins Gunn & Dial. 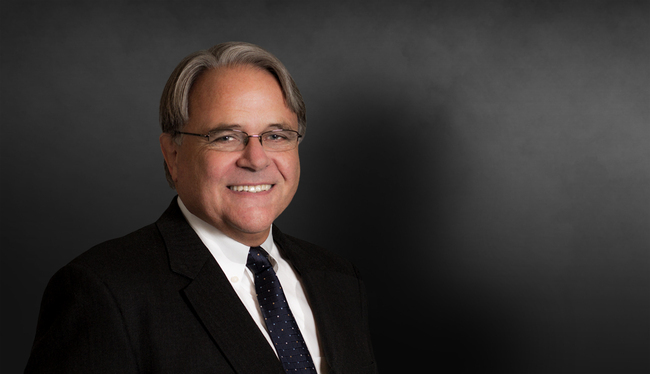 He has served as litigation counsel in trials and arbitrations throughout the county representing owners, sureties, architects, engineers, general contractors, subcontractors and suppliers. Beyond the construction industry, David has represented numerous corporations and individuals in commercial disputes including restrictive covenant and non-compete matters. David is AV Preeminent rated by Martindale Hubbell® and has been consistently selected in prestigious legal and industry publications including, Chambers USA: America's Leading Lawyers for Business and U.S. News–Best Lawyers®. He was also selected by Super Lawyers Magazine to the Georgia Super Lawyers List and by VEGAS, Inc. as a "Top Lawyer". Defended an international corporation against claims that its leased equipment failed resulting in $70 million of damages to the equipment lessor's project. After a 28 day arbitration, the lessor was awarded nothing on its claim and our client was awarded $6 million for its destroyed equipment. Represented an international environmental corporation in a claim against the city of Atlanta for improper termination of a contract. After a two-and-a-half week trial in Federal District Court the firm obtained a $10 million judgment against the City. Serves as trial counsel to one of world's largest insurance firms in litigation arising out construction claims in the excess insurance division. Successfully defended Metropolitan Atlanta hospital system against action claim that it was employing a physician in violation of a non-compete agreement. Obtained summary judgment for physician in a $2 million breach of contract claim brought by hospital system. Represented renowned Las Vegas casino and resort in over 150 days of arbitration hearings on series of claims brought by general contractor; total claims exceeded $30 million and the contractor recovered less than 15 percent of amounts sought. For the same casino, defended $25 million case brought by a subcontractor; settled for $4.5 million after seven days of trial. Successfully defeated construction bid protests for Atlanta City Schools and Cobb County Public Schools. Obtained affirmative injunctive relief for national contractor/design firm after trial, requiring City of Atlanta to award $25 million design/build contract to client. Represented global consulting companies specializing in engineering and environmental services in dispute over construction of solid waste disposal site and in defense of $20 million claim for catastrophic damages to Montana gold mine. Defended a national day care center company against $5 million fraud claim by investor. The matter was resolved for $250,000. Lead counsel for two major southeastern utilities on all claims arising out of construction of $2 billion power plant; asserted and defended over $100 million in claims.